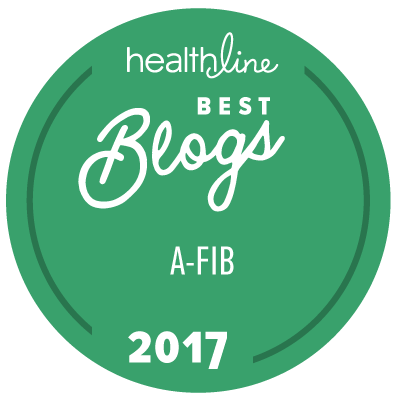 If you're a woman living with atrial fibrillation and considering a mini maze procedure for atrial fibrillation treatment, there are things you'll want to know. So far, there have been more males than females who have had the mini maze procedure, which is interesting since some doctors say that more females have atrial fibrillation overall. There are obviously some differences for women having a mini maze procedure. Not surprisingly, the chest area is much more sensitive for females. Because of the location of incisions and the tenderness of tissue in that area, as well as the rubbing of undergarments in those areas, incisions are slower to heal and slower to fade. From the location of scars on the drawing of a male patient you can see how female undergarments could rub those incisions. Seven months after mini maze surgery, one female patient still had occasional twinges and pain, and slowness in healing due to bras irritating that area. During recovery, she used gauze pads to protect the incisions and wore a swimsuit top with a soft bra for the first few weeks. It took time for bras to be comfortable again, and the thought of a mammogram was scary for the first six months. Another also experienced soreness and pain in that area. The rubbing of bras and shirt underarm seams irritated the incisions. However, her incisions were larger than those used today. During healing, she used waterproof bandages and tape to protect her good clothes. Over a year later, she still found that occasionally the rubbing by bras irritated the incision areas, but the scars were finally fading. When asked if they would do it again, both answered "in a heartbeat," and felt that this was such a small price to pay to cure atrial fibrillation and eliminate their risk of blood clots and stroke. If you're a woman considering the mini maze procedure to cure afib, these are things that you should know in advance and prepare for. It may be a good idea to procure soft bras in advance so that you'll have them to wear for a few weeks following surgery. It could be very helpful to discuss with your surgeon where the incisions will be, and perhaps even ask your surgeon to mark those incisions to serve as a guide in shopping for bras that won't irritate your incisions. If you come across specific bras that work well for this, please let us know so that we can share that information with other female patients. In addition, if you find solutions for protecting good clothes in the weeks after surgery, please share that with us as well. Learn more about Reclaiming Your Life after the mini maze procedure.